gunslingers, ladies of the night, and the shootout at the OK Corral. But what about those intriguing spots off of Allen Street? There’s much more to the history of Tombstone– a lavish and grand style that was enjoyed by many. This walking tour will take you there. There’s more to Fort Huachuca, Arizona than active duty military. What you’ll find is an historic Army post that dates back to the late 1800s. 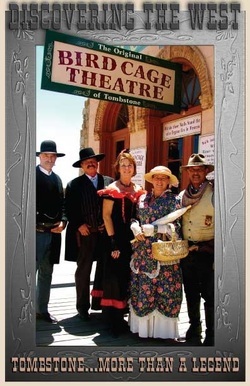 The Historic Old Post offers visitors a glimpse of how Army life was lived in the“Old West.” On this section of Fort Huachuca, visitors will find a rich history as they walk past old wooden barracks and houses that were home to the officers and soldiers who protected Cochise County. This walking tour includes a history of each building. Both booklets coming soon to Amazon in Kindle format and will be available in print. Contact me for details. 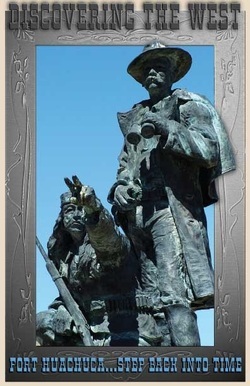 These are the first two in the "Discovering the West" series that will educate and illustrate historical sites in Cochise County, Arizona. These walking tour booklets include photos and maps that will direct visitors to popular and historic buildings.